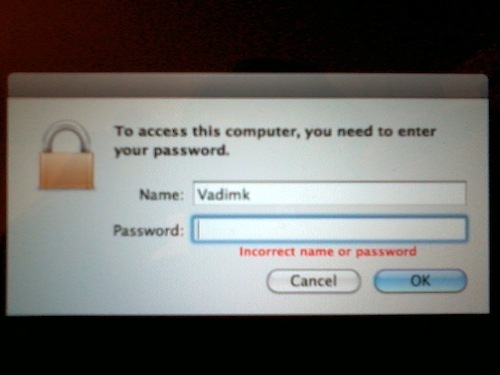 OS X Screensaver lock problem or Hard reset Mac every day - Vadym K.
the computer locks, but unlike Windows, it mutes all sounds from your account, so if you for example want to listen to the music when you have a party at home and don’t want others to mess up your computer, that option won’t work for you. In this case screensaver lock is exactly what’s needed. So everything seems to be perfect right? But let’s come back to the problem. 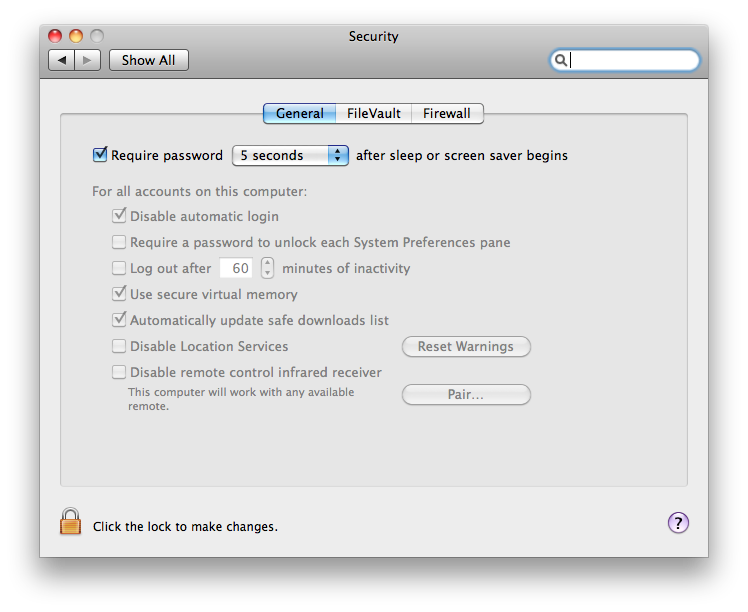 If you have several keyboard input sources configured, eventually lock screen will not accept correct password. And obviously the reason for that is different active input source. 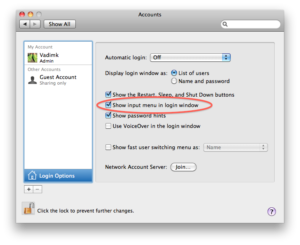 So if you have active input source different from your password is set on, when the computer locks, it’s appears to be the only one for the password and username input! Of course if it’s German, where y and z are interchanged, you can carefully retype your password and you’re done, but… If you that another input source is cyrillic (like I have, when I talk to my friends in Russian), that can be a pain. Keyboard combination to switch input sources doesn’t work, and the only thing you can do is hold power button and just HARD RESET IT! I was actually disappointed so much, and was going to change my password to use numbers+symbols to be able at least to unlock it in some way. But then I’ve found a solution! But in general, it looks like a major bug, that exists for several OS X versions! And I’m sure, guys from Apple were always aware of it, because let’s think, if you have cyrillic username for example and erased some symbol from it by accident? Well, they added another workaround for that! 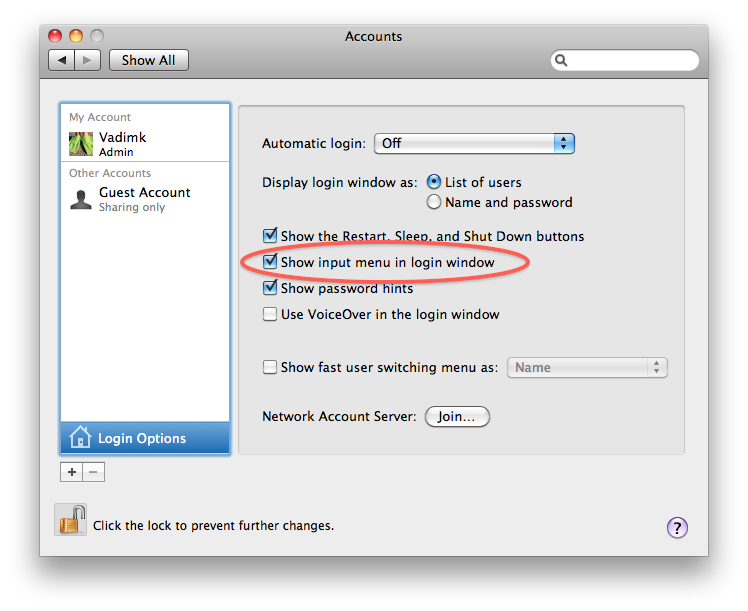 Just erase whole username and type your password – screen will be unlocked! So stupid as for me! I even posted this bug to Apple Community forum, but that seems to look ok for everyone else.